Vanessa & Felix E-Session (and the value of E-Sessions). I first met Vanessa and Felix in their apartment in Jersey City. We shared some coffee and chatted about family, church (their pastor is a very close friend) and their upcoming wedding. I was there to consult them on being commissioned to capture the beginning of the next, beautiful chapter in their lives. As they viewed my portfolio and spoke about my style of photography and their vision of the final images for their album, after having booked me for the wedding, Vanessa mentioned that she was going to send out "Save the Dates" with a picture taken by her sister. Of course, without offense to her sister, I told them that since they were already under my care I would love the opportunity to help them with the Save the Dates through an e-session - an engagement session. Engagement sessions are almost essential to the whole wedding package. My wedding packages from the top to the lowest have some form of engagement session. 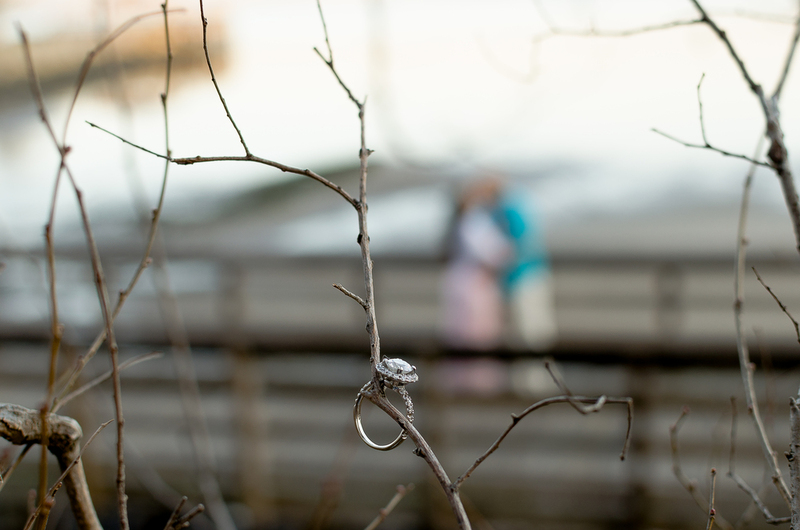 There are several reasons why we believe an e-session or engagement session is valuable. 1. It's once in a lifetime. Every couple desires to be engaged only once - because it is their hope and understanding that they want to be married to the love of their life for the rest of their lives. The ultimate goal in marriage, anyway, is "'til death do us part", am I right? As the wedding will only be once in a lifetime, so the sweetness of the prenuptial season is also once in a lifetime. Vanessa and Felix are avid members of their church, but not only are they religiously inclined to marry for the lifetime, their care and joy for each other spoke volumes of their desire to make this first their last. 2. A romantic tension for the "Big Day" is visible in photographs. The love and the excitement of the upcoming nuptials create a visible, romantic tension between the couple. Weddings can be daunting. Planning one is immense. But when a couple is wholly in love, there is an expectation for the wedding day that cannot be denied ... and it shows up in the engagement pictures. For that two or three hours, everything aligns and the couple remembers why they are putting all their energy and a good chunk of their money into the upcoming wedding: they are in love and committed to each other and they want the world to know and their family and friends to celebrate. During the session with Vanessa and Felix, I saw them relax as the shoot went on. They began to be at ease in each other's arms and as the tension of the planning wore off, the romance poured in. I no longer needed to guide them as much as they were naturally caring for each other without prompt. 3. The couple and the photographer connect and engages. The best thing for a couple is a knowledgeable photographer, not only in his/her gear and theory, but his/her understanding of the couple. Our session was slotted for sunrise - which was about 6 am. The location the couple had chosen was familiar to me, but I had not been their before. And though we had a good connection during our initial consultation, I've never photographed them before so my anticipation for the session was high. From about 6:30 am to about 9:00 am, we learned to enjoy each other's company. They got a feel of how I most likely would be during their wedding while I learned some of their nuances as a couple. A week or so after the engagement session, as in all our engagement sessions, I met up again with the beautiful couple and did our reveal and ordering session. The couple choose the one of a kind photograph for their "Save the Date" as well as purchased a photo-book that commemorated their love and their engagement session. And I, having loved the session, had a 20" x 30" canvas printed of the photograph below (which now hangs in my home studio - actually it currently hangs at a local restaurant that exhibits fine art pieces from local artists) as a sample of the heirloom products we create. Needless to say, we had a good time shooting and capturing the love between Vanessa and Felix. And as always I want to thank them for not only commissioning us for their wedding, but for their trust in doing so. God bless Vanessa and Felix! Can't wait for the wedding! Stay tuned, y'all!